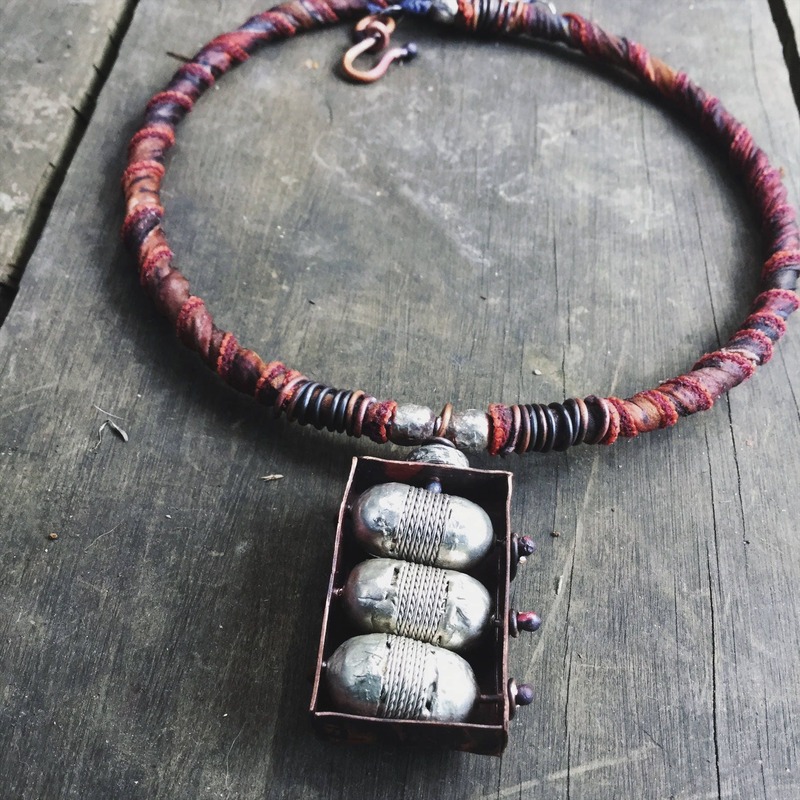 A primitive copper box, torch-fired to give it a beautiful distressed and aged patina serves as a vessel for three African elongated silver coin beads stacked one on top of the other and held in place with oxidized copper wire threaded through them and around the copper box. 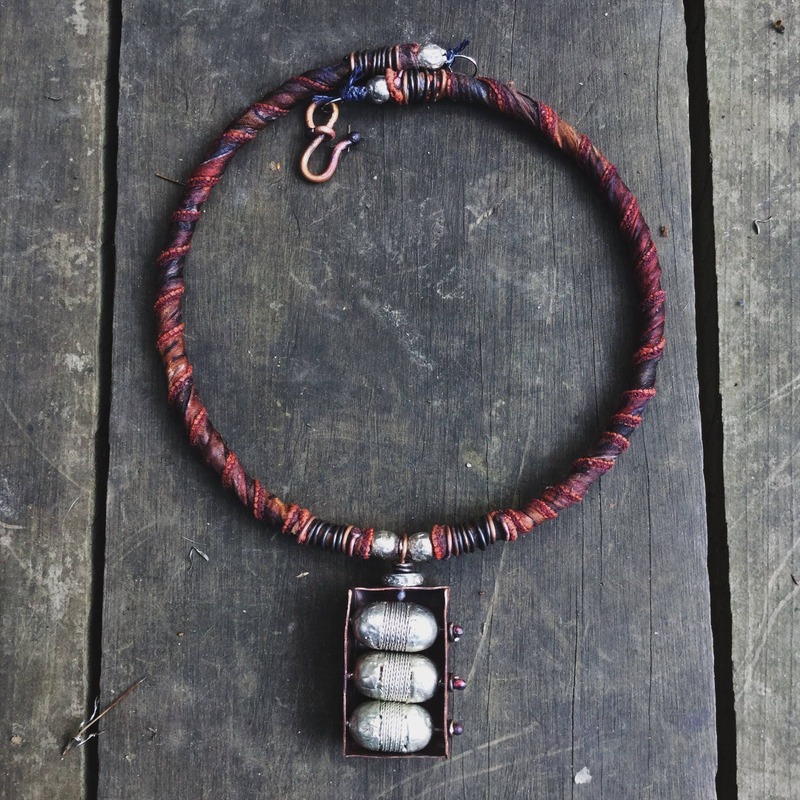 The necklace is created from a memory wire core (strong and flexible, holding its collar shape on the neck) sheathed in tube of dark, burnt orange sari silk, coated to ensure it is harder and hardier than in its natural textile form. 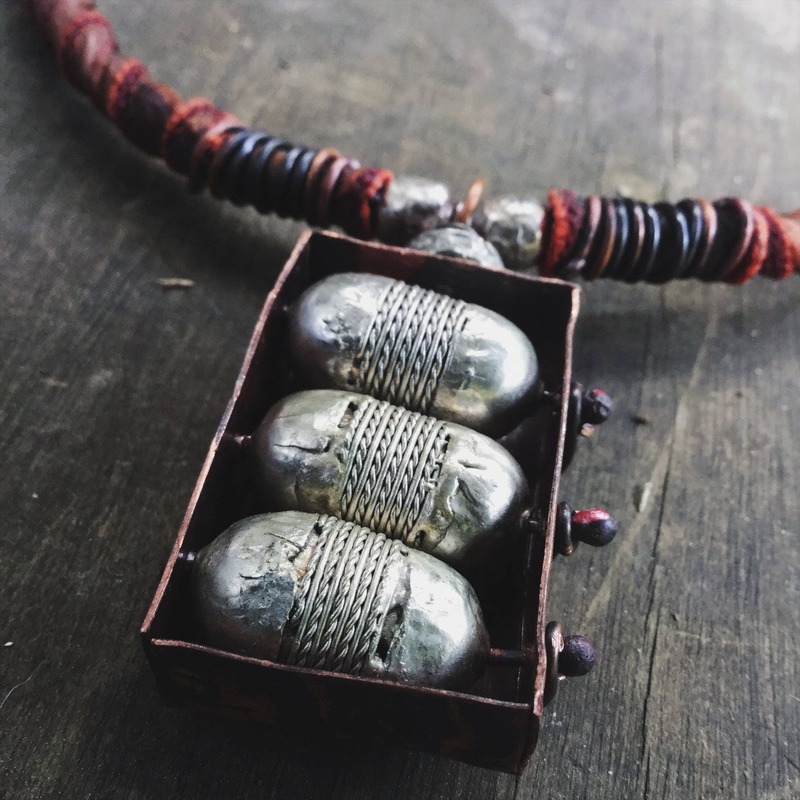 Balled copper wire is wrapped around the ends and middle sections and Ethiopian white metal prayer beads serve as an additional adornment. Around 19 inches (48 1/2 cm) end to end. The focal is around 1 3/4 inches (4 1/2cm) from top to bottom. 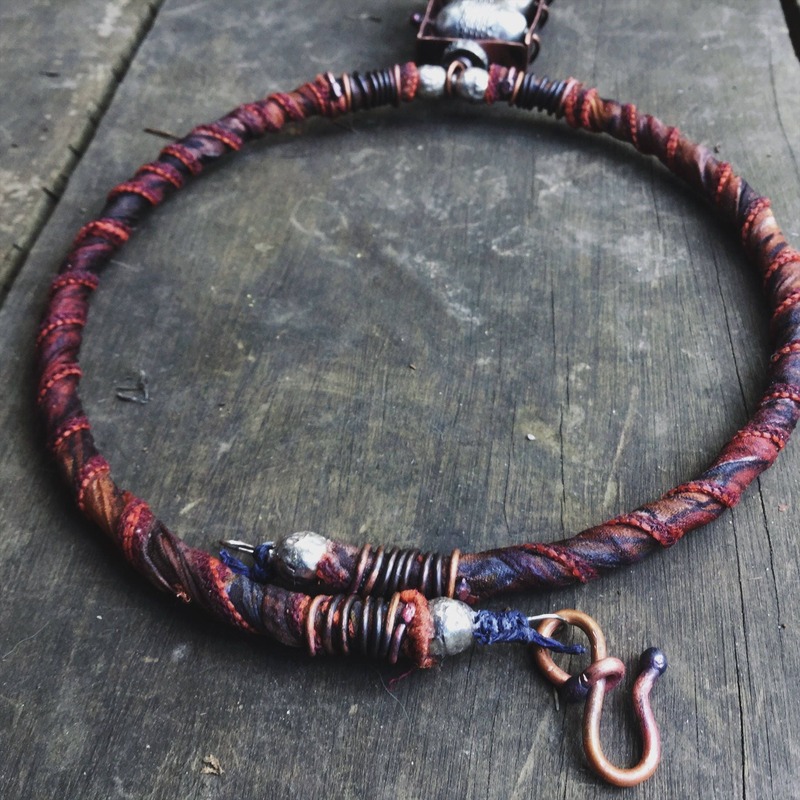 Closes with a hand forged copper hook at the back of the neck. Wow, Australia is a long way from me. How long will it take for my item to get here? 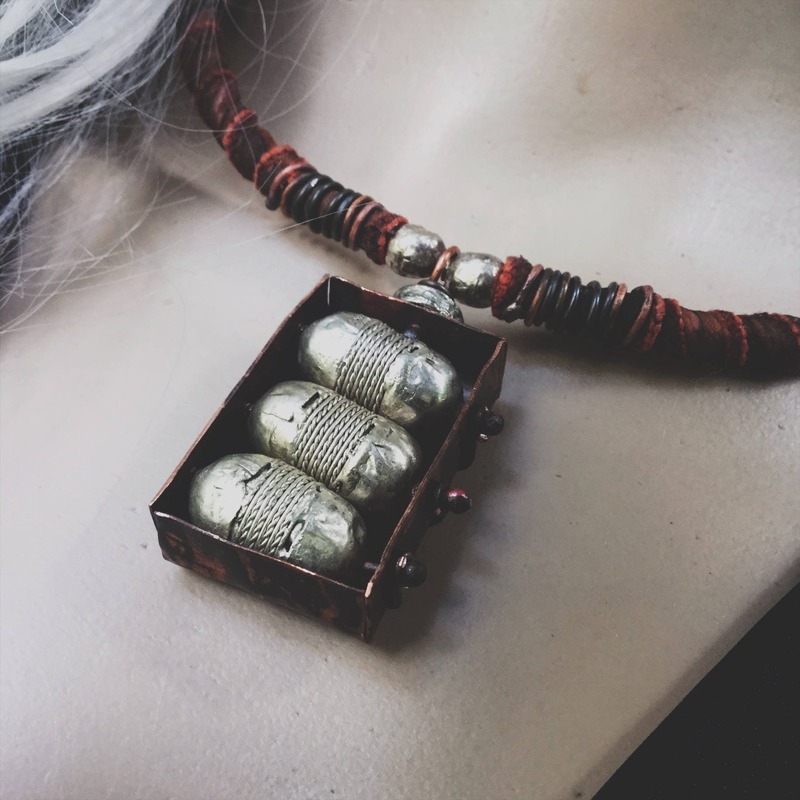 I find items shipped to most places in the world (other than Australia, which is where I am based) arrive within Australia Post's designated shipping time of 6-10 days. It can, very occasionally, take longer. I ship with tracking as standard so you can keep an eye on your purchase as it wings its way to you. All my items are wrapped and ready for gifting. I ship international items via Australia Post with tracking as standard. Most arrive within the designated Australia Post shipping time which is 6-10 days (it can, on the odd occasion, take longer). Domestic items are shipped via Australia Post and should reach you in 2-5 days. Of course. 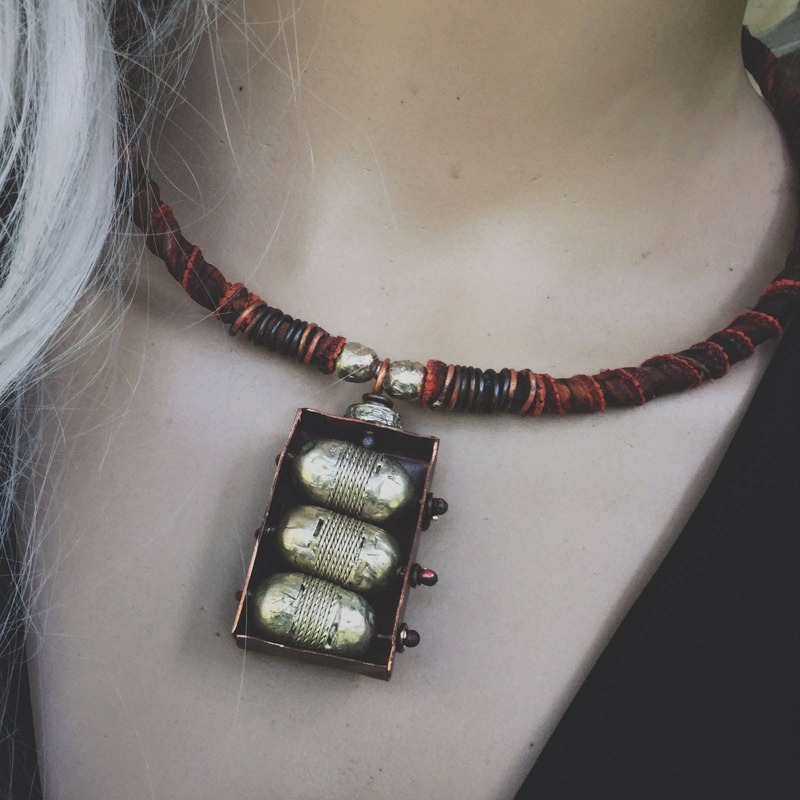 What's the point of jewelry you aren't going to wear! Shopping online is convenient, but sometimes you need to see a thing up-close and and in-person to know how you really feel about it. If you'd like to return your item, just let me know within 14 days of delivery. What's your aesthetic and your pricing philsophy? My work is organic, purposefully rustic and raw. 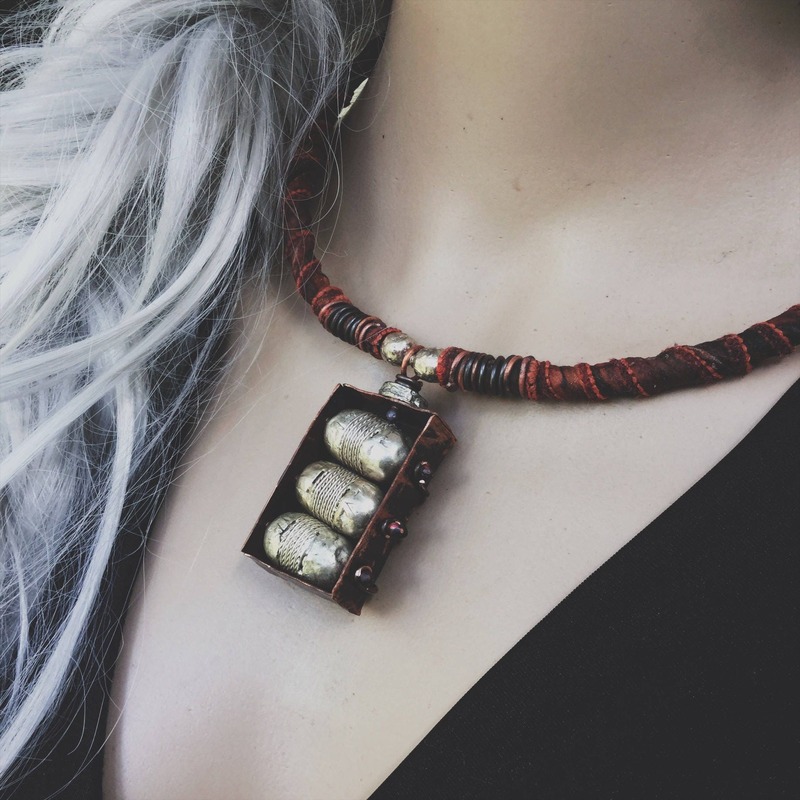 My pieces take a journey with me as I create them. I use found and salvaged objects wherever possible as these tell a story and reflect my commitment to sustainability. 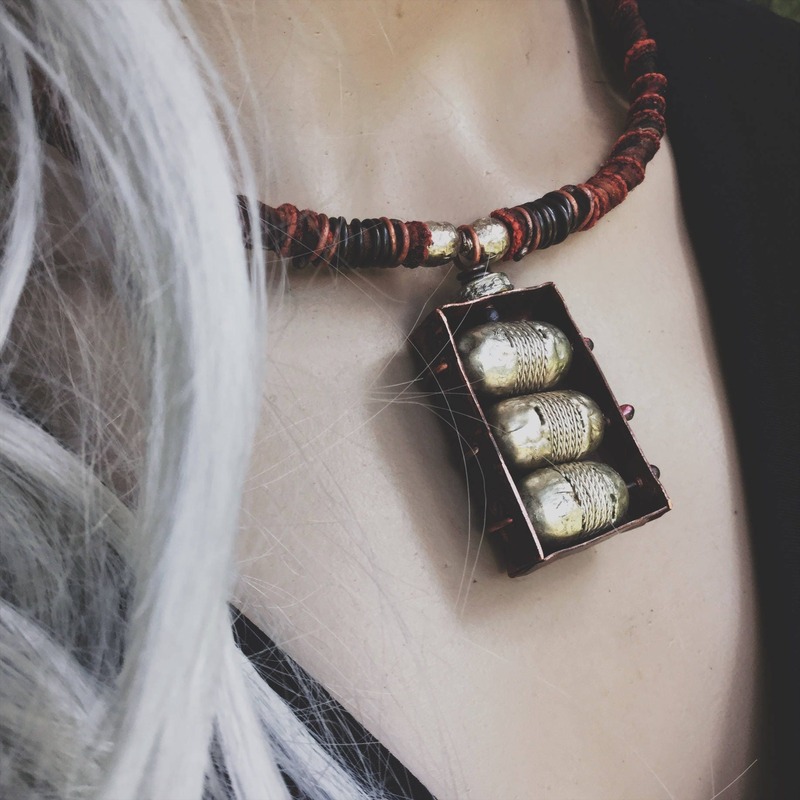 My aesthetic celebrates the signposts - surface stitches, tool marks, texture and natural patina - that tell the story of that pieces journey with me. 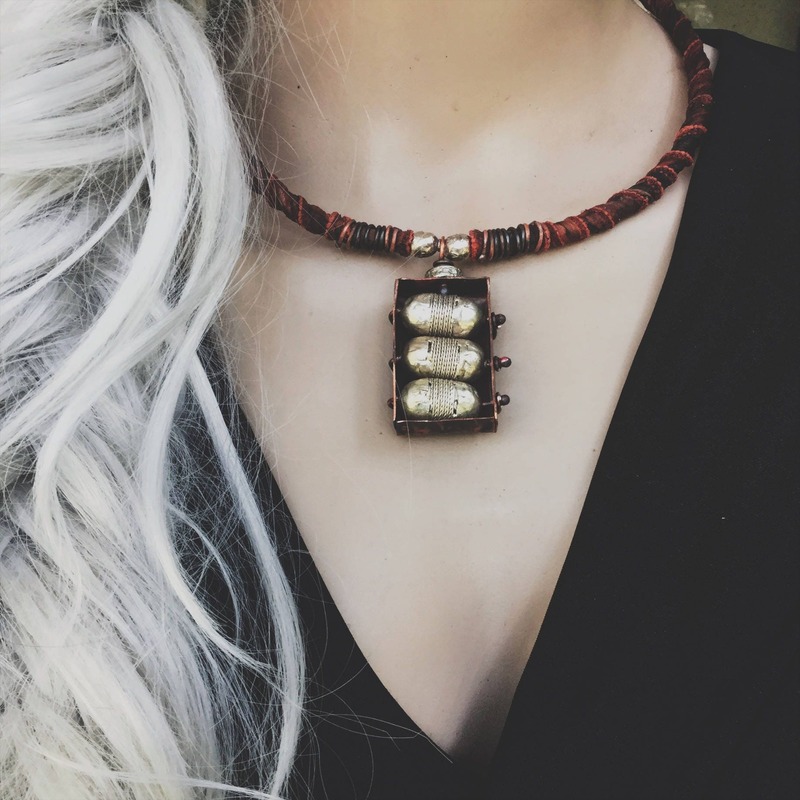 When you purchase one of my pieces you are purchasing something that is one-of-a-kind, completely unique and which has taken many hours to create. Pricing is one of the hardest things for an artist. I try to keep my prices accessible, whilst reflecting the time and materials that have gone into creating. My process is very organic and personal so, the short answer is no, I don't generally take custom orders. However, please feel free to reach out to me if you have something in mind. 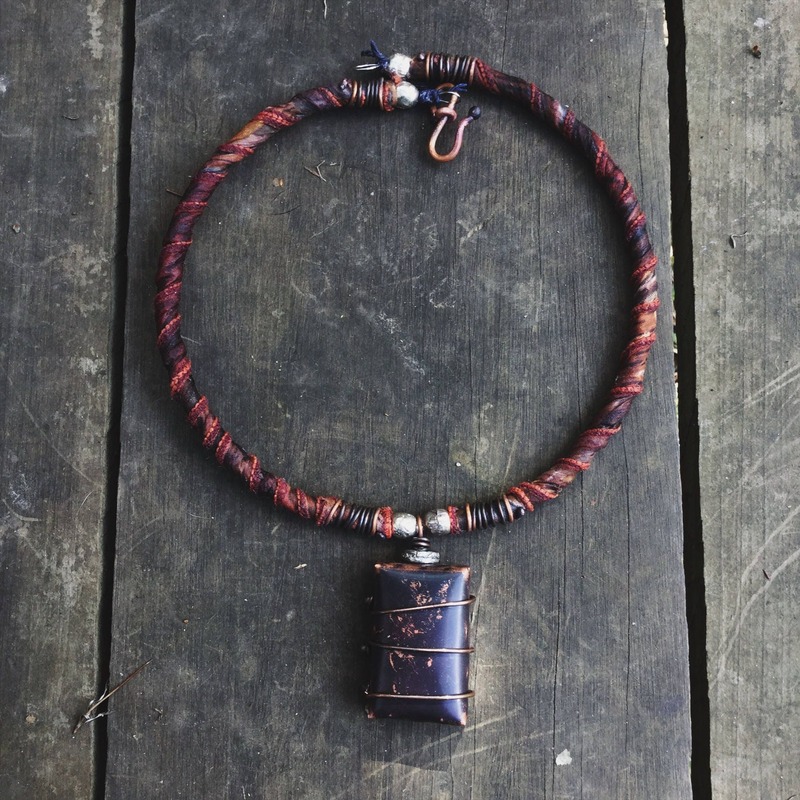 I've worked with several of my regular customers to create a piece that uses a material or object that holds a special meaning for them.